A set of 2 ~ 6 Inch Orange & Cinnamon scented taper Candle. 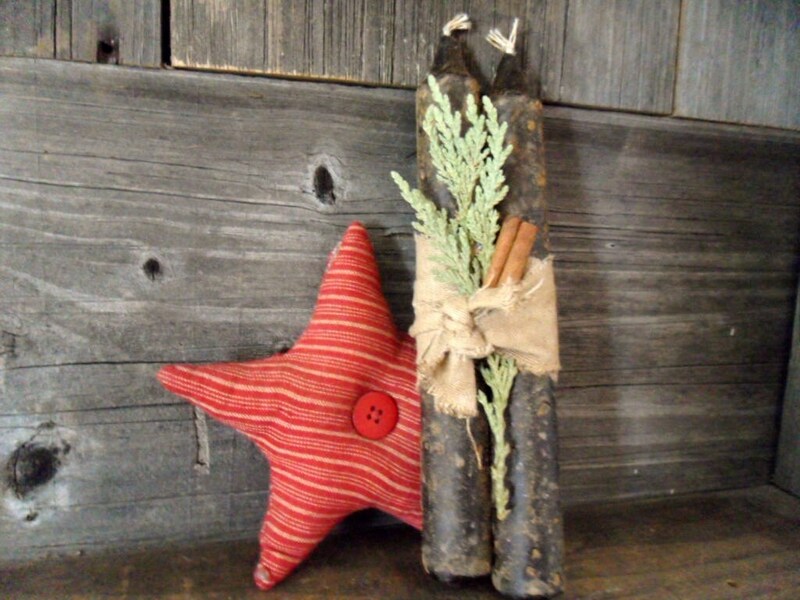 Each candle has been dipped in black wax, painted with cinnamon and decorated with printed tea stained Christmas print and tied off with twine and cedar tips ans cinnamon stick. There is a loop on the back for hanging as well.